How you perceive someone who is multiracial matters. Historically, the answer to that question for someone who was black-white multiracial had repercussions for who that person could marry, what school he or she could attend and other forms of discrimination the individual might experience. Today, the United States is becoming increasingly multiracial, but social psychologists are just beginning to understand how multiracial individuals are perceived and categorized. A new study suggests that the so-called "minority bias" exerts a powerful influence — important since one in five Americans is expected to identify as multiracial by 2050. 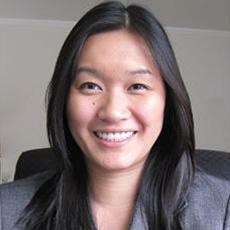 University of Utah psychology professor Jacqueline M. Chen, lead author of the study published by the Journal of Experimental Social Psychology, that found observers were most likely to categorize someone who is black-white multiracial as non-white. The findings are the first to document minority bias as a guiding principle in multiracial categorization. "The question of how perceivers racially categorize multiracial individuals is important because it impacts other social perceptions, like stereotyping, and interactions," Chen said. "The bottom line is that we find people tend to see racially ambiguous, multiracial people as racial minorities." Previous studies have suggested that hypodescent — a practice historically incorporated in law of assigning someone with part-black ancestry to the racial category black — still plays a role in race perception. But in the new study, the researchers found that is not the only categorization rule at work. They found that when encountering someone whose racial background was unknown, observers exhibited a minority bias in placing a multiracial person in a different non-White racial category such as Latinx, Middle Eastern or South Asian. The study consisted of three different experiments in which participants used diverse methodologies to categorize facial portraits of individuals who were black, white or black-white multiracial. "Our findings show that the categorization processes applied to multiracial faces are much more complex than a straightforward application of the hypodescent rule," Chen said. "We have found that perceivers quickly categorize multiracial faces as non-white and apply a wide range of minority categories to these individuals." Chen said the study's findings have implications for phenomena such as stereotyping of and discrimination towards multiracial individuals; they also might explain how social expectations and interactions are shaped. "The ways in which perceivers negotiate the increased multiracialism in their social environments will have important implications for multiracial individuals' social experiences and for the maintenance or evolution of existing social hierarchies," Chen said. "The minority bias may lead perceivers to be less motivated to pay attention to, get to know, or remember multiracial individuals because they categorized them as members of stigmatized racial groups," she said. "These potential implications of our findings are important for understanding race relations in the U.S. and the multiracial experience in America." Co-authors of the study are Kristin Pauker of the University of Hawaii; Sarah E. Gaither of Duke University; David L. Hamilton of U.C. Santa Barbara; and Jeffrey W. Sherman of U.C. Davis.